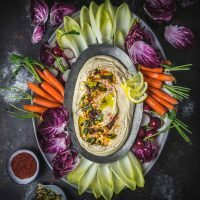 Every country and cuisine has its convenience food: the dish that’s so ubiquitous – it’s in the supermarket, the corner store, the petrol station – why would you ever bother making it yourself? 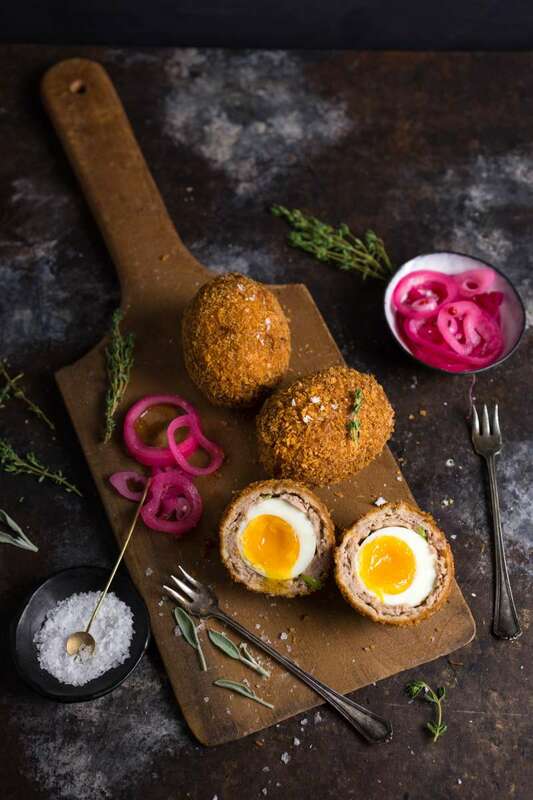 For Britain, I think that food is the Scotch egg. 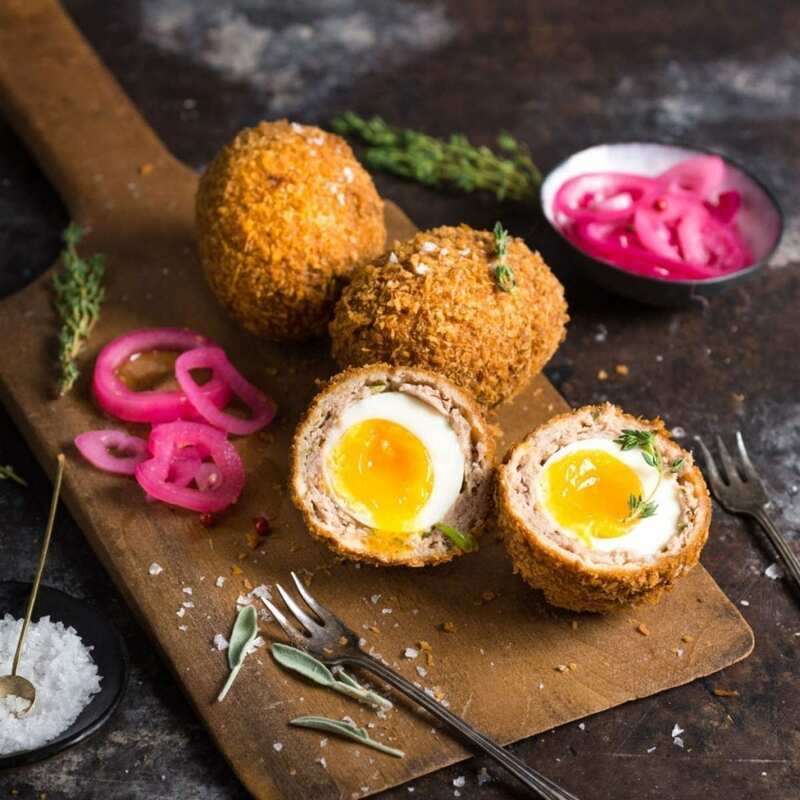 A soft-boiled (or, occasionally, hard-boiled: let’s talk about that below) egg wrapped in layers of sausage meat and breadcrumbs and deep fried. 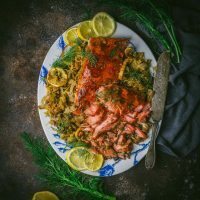 All the component parts sound like they should fit together beautifully, and indeed they do – if your recipe is good. 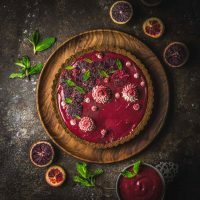 Too often, something goes wrong – the egg is overcooked and ends up with a chalky or green-ringed yolk, the pork is insufficiently seasoned and bland, the crumb coat is soggy. It’s easy to throw up your hands and say, well, what can you do, it’s just a Scotch egg. And then we had a quail’s egg version at our favorite restaurant in Wales, Llys Meddyg, and here’s what happened to our minds. OK, admittedly, we were on our honeymoon, and we had had a good amount of whisky at that point, but this was genuinely a turning point in our appreciation of the humble Scotch egg. The outside was beautifully crispy, to the point where you could almost crack it with a knife. The pork layer was rich and tasty – I wouldn’t be surprised if it was mixed with a little black pudding. And the egg was warm and gooey and – did I mention? – was of the teeny tiny quail persuasion. So yeah, that was a bit of magic on a plate. 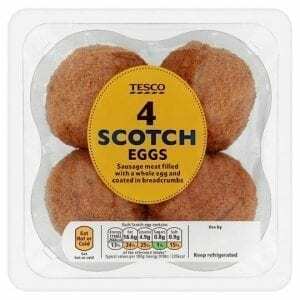 Admittedly, I haven’t eaten a “native” Scotch egg in years, so I wanted to refresh my memory of what kind of quality item you might find packaged in the chilled goods section of your local Tesco Metro. So I asked my Mum. I don’t know why we had never got around to making our own. It’s not like we’re ever short of eggs. Our chicken lay the prettiest eggs. Okay, so onto the recipe. Here’s how we approached these beauties. First, we wanted to make sure we cooked the eggs perfectly. We started with extra-large eggs placed in a pot with cold water to cover by an inch. Once the water boiled, we dropped the heat to low and simmered them for exactly four minutes. When they were done, we immediately removed them into an ice bath and let them sit until they were cool – a good 10-15 minutes. And then we gently peeled them. (This can be done up to a day ahead). Most recipes for Scotch Eggs call for an all-sausage wrap but we found that can make the eggs a little greasy so we went with a mix of breakfast sausage (taken out of its casing) and ground pork. The ground pork is leaner and a little more coarse, so the combination is just perfect. The meat is then seasoned with mustard, as well as a mix of fresh herbs (you can use whatever you like but we went with chives, thyme, sage and parsley). We also like to add a little freshly ground nutmeg – this adds a really nice warmth, though it’s not a crime if you leave it out. Mix the meat and seasonings well, then divide it into 8 balls. You can put them in the fridge while you prepare the coatings. You’ll need three shallow bowls for your coatings: seasoned flour, egg (with a little milk), and breadcrumbs. We use panko for almost every recipe that calls for breadcrumbs since we love the coarse texture and crispness of the resulting coating. If you prefer to use regular breadcrumbs, we recommend you look for unseasoned (i.e., without any dried herb flavors). Once the eggs are peeled and the pork is ready, it’s time for them to combine forces. Take one pork ball and gently flatten it between two approx. 8″ pieces of cling wrap. You can use your hands or a roller. You’ll want to end up with a shape large enough to cover the egg, so it should be 1/4 to 1/2″ thick (and as even as you can get it without too much stress). Once it’s ready, peel off the top layer of cling wrap. Roll an egg in flour and place it in the center of the sausage, and lift up the cling wrap to roll the meat layer around the egg evenly, closing up the gaps with your fingers. You can use damp hands to coax it into a smooth egg shape. Next, roll the covered egg in flour, shake off any excess, and dip in the egg/milk mixture to coat thoroughly, dip into the breadcrumbs to coat, and then give it one more round of egg/milk and breadcrumbs. YES TWO LAYERS OF BREADCRUMBS! 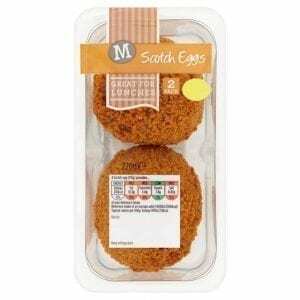 This is vital and should not be skipped if you want really crunchy, crispy Scotch Eggs. Shake off any loose crumbs and set all your coated eggs on a tray. Have another tray with a cooling rack set atop it – this is for the fried Scotch eggs to catch any oil drips. Prepare a deep fat fryer or a medium-large (3-quart) pot with neutral cooking oil, filled with at least 3 inches of oil (but make sure not to fill it more than halfway). Heat the oil to 350ºF/175ºc. Carefully lower in two eggs, one at a time (don’t crowd the pot – you don’t want the temperature to drop too much). Fry for 5 – 7 minutes, turning them gently in the oil every so often (we found 6 minutes was perfect). When the eggs are a deep golden brown and have mostly stopped bubbling, remove them with a spider or slotted spoon and place them onto the cooling rack. Check the oil temperature before you add the next batch – make sure it returns to 350ºF. 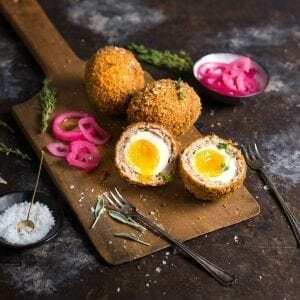 Scotch Eggs can be eaten hot, warm or room temperature. (Keep any uneaten eggs refrigerated and they should last 4-5 days.) We like to serve them with a good sprinkle of flaky sea salt (our favorite is Maldon) and some Quick-Pickled Red Onions. 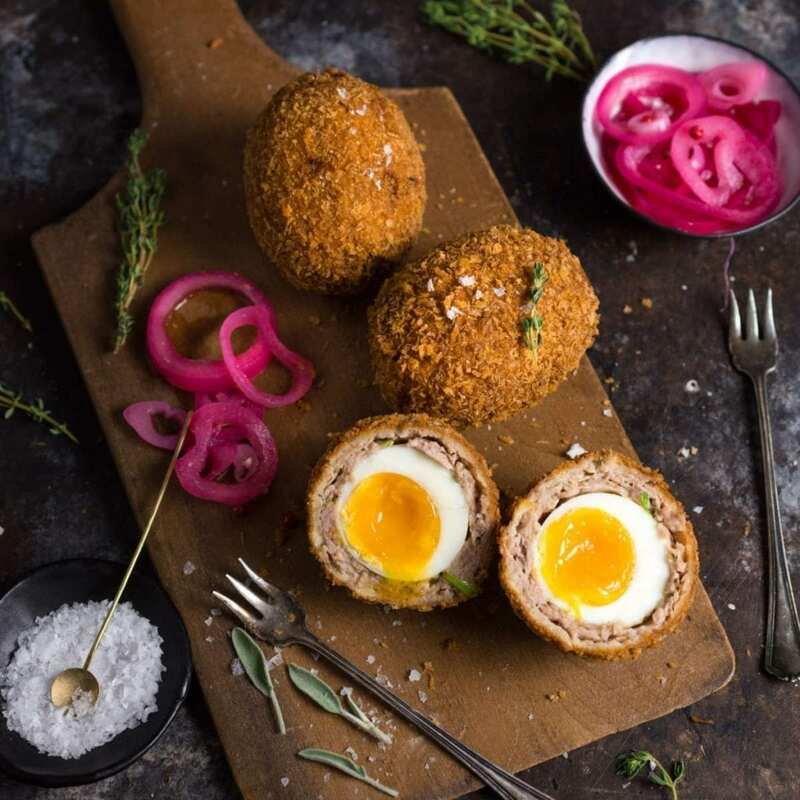 Follow our tips on how to cook the perfect Scotch Egg. It’s easier than you think! Slice in half and marvel at the perfect runny yolks! This is exactly what we were after, not so liquid that they run everywhere, but gently oozing, with an almost pudding-like softness. These Scotch eggs should stay runny even a few days later. You will be the hero of your next picnic! Well, to be honest it’ll be between you and the guy who individually punches wasps in the nose. I love that guy. Put 8 eggs into a saucepan, cover with cold water (an inch above the eggs) and bring to the boil over medium-high heat. As soon as it boils, turn heat to low and simmer for four minutes, then transfer eggs into a large bowl of ice water for at least 10 minutes. Peel the eggs. Add the sausage, ground pork, herbs, nutmeg and mustard to a medium bowl, season with a pinch of salt and pepper. Mix well with your hands to combine. Divide into 8 balls. In a shallow bowl, beat the two raw eggs with a tablespoon of milk. In a second shallow bowl, add the flour and season with a good pinch of salt and pepper. Add the breadcrumbs to a third bowl. Arrange in an assembly line in the order of flour, egg, breadcrumbs. Cut a square of plastic wrap, place on worksurface, and put one of the meatballs in the middle, then place another square of plastic wrap on top. Roll out or press the meat until large enough to cover the egg. Repeat process with the other balls. When ready to use, remove the top sheet of plastic wrap. Roll one peeled egg in flour, then place in the center of the meat. Bring up the sides of the film to encase it, and smooth it into an egg shape using damp hands. Dip each covered egg in flour, then egg, then breadcrumbs, then egg and then breadcrumbs. Repeat with all eggs. Fill a heavy-bottomed 3-quart pot a third full of vegetable oil (at least 3 inches deep), and, on medium-high heat, bring to 350º / 175ºC (if you don’t have a thermometer, check for when a few bread crumbs sizzle and turn golden, but do not burn, a few seconds after you drop them in). Fry the eggs two at a time, turning gently in the oil, for 5-7 minutes, until crispy and golden brown. Remove to a rack set over a sheet tray. Sprinkle over coarse sea salt while still hot. Serve with Quick-pickled red onions, if desired. I’ve been looking for a good explanation for how to make these! Beautiful post! I’ll let you know how they come out once I make them. Best recipe I’ve found for these. They came out perfect and hubby was truly amazed. 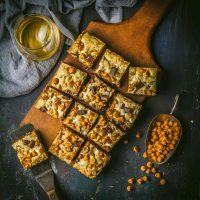 The tips and personal adjustments you’ve made to the standard recipe brought these to the next level. Umami-madness! Thank you for sharing! Hi Josephine! You can absolutely do it with any size eggs, but the trick is in the timing. Our goal was to keep the egg yolks a little gooey while the pork coating is being fully cooked. If you reduce the egg size, also reduce the size of the meat layer and pull them out of the oil a little sooner – experiment and find what works for you! Let us know how you get on. Fantastic just made a couple useing Clonakilty black pudding and sausage mix with your instructions, wish I could post a picture for you – you said they’d last 4 days well about 4 mins when my husband saw them ! Do you use seasoned panko or plain? I plan on making these Sunday with oven baked home fries! Thank you! Did you explain why you make them soft? EVERY place I’ve had them, they were hard boiled. We just like them soft! The hard-boiled versions are more common – they’re much easier to make, for one thing, but they’re also easy to over-cook, so you often end up with an unappealing center (often with that green ring).